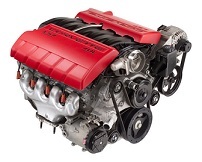 We sell inexpensive good and clean used Saturn engines with very little miles. They're so good, we guarantee them. Welcome to AUTOPARTMAX.com, the only family-run business providing a guarantee on all engines sold. Availability is subject to change, so call frequently. All quotes are FREE. Multiple discounts are available. Assurances are gracious as we conduct business with integrity and maintain a formidable presence within the industry. Yes. You can receive that used Saturn engine at the price you really need as well as a rebuilt Saturn engine or a remanufactured Saturn engine. It doesn't take an automotive engineer to sell and distribute used engines acquired from salvage yards all over the US. But at AUTOPARTMAX.com only highly qualified auto techs handle every acquisition, every engine that moves across our docks, into the warehouse, those for rebuilt Saturn engines or remanufactured Saturn engines and, ultimately, those to be shipped out. In addition to our decades-old automotive experience we attending to every unit with our own business sense. We're intimately involved. Every point along the line of distributorship has accountability measures in place. We don't just trust a third party to deliver, we know them personally. 1) Have your Saturn VIN handy when calling. 2) Let us know the shop address. 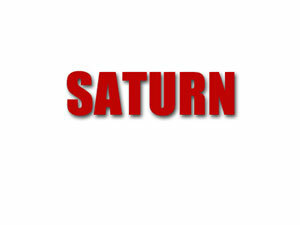 3) Tell us which Saturn component you need. Financing options are available for all our clients as well as warranties on very engine models for which you might choose. Just like our auto know how, it's important for us to bring about clear distinctions of the consequences of your financial decisions. We'll do more than hook you up with an engine you can afford. We'll pit you into a financially savvy position, if we can, because it means you'll be more than satisfied when you go to make your monthly payment and have money left over for other things in life that you truly need. What usually follows is your willingness to carry a tune of how awesome our services are. In the end, we get more clients through word of mouth than any of the most expensive marketing extremes. It's worked for us for nearly 30 years and it will continue to work the same. Auto parts so, call and let us meet your end goals – of getting your Saturn on the road and staying there for a very long time. Rest with assurances that the engine that ships to the shop will be of the integrity and caliber you truly desire. And it'll be on the cheap, because that's exactly what our client’s demand and have come to expect from AUTOPARTMAX.com.